This project was announced by the Ministry of Trade and Fisheries with call deadline in February, and a consortium led by NUPI was later been awarded the project. The project has had a budget of 3 million NOK. TTIP raised issues about how Norway as a small country can adapt to the international race for free trade agreements (FTAs), and e.g. whether Norway’s agriculture has to be liberalized if we are to obtain the FTAs we need in order to safeguard the interest of Norwegian export industries. The project is an important input into the debate and decision-making on Norway’s choices. The main project report was presented to the Minister of Trade, Industry and Fisheries Monica Mæland at a NUPI seminar on 2 November 2016. The Norwegian version has the title TTIP og Norge: Virkninger og handlingsvalg and is available here. A slightly updated version is also available at this link. An English version of the project report was published 20 December 2016 and has the title TTIP and Norway: Impact and trade policy options. NUPI has lead the project and undertake analysis in the economic, judicial and political science areas. 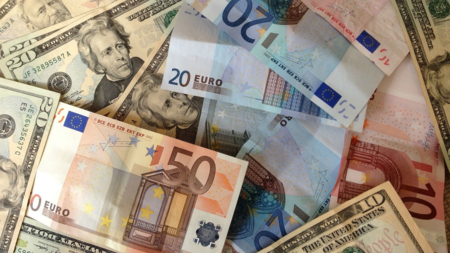 Ifo Institute at the University of Munich has carried out economic model analysis of TTIP and related agreements involving Norway. NIBIO has analyzed the consequences for Norwegian agriculture and food industry of TTIP and related agreements involving Norway. Menon Business Economics has analyzed trade in services in the context of relevant trade agreements. 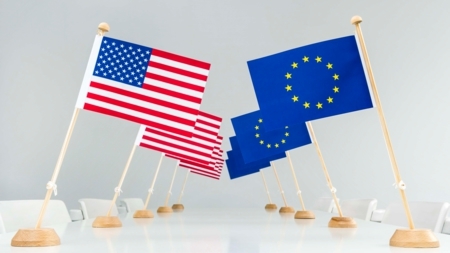 Researchers at the Faculty of Law, University of Oslo has jointly with NUPI addressed legal aspects of TTIP and Norwegian agreement options, including issues of state-investor dispute settlement (ISDS). 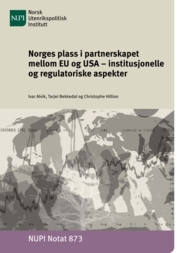 Alvik, I., T. Bekkedal & C. Hillion: Norges plass i partnerskapet mellom EU og USA – institusjonelle og regulatoriske aspekter. Includes (I) Norsk deltakelse i handels-partnerskapet mellom EU og USA; and (II) II: Investeringsbeskyttelse og investor-stat tvisteløsning i TTIP – implikasjoner for Norge. NUPI Working Paper No. 873/2016. 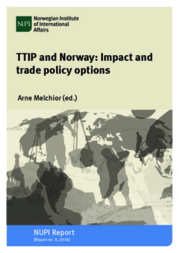 Felbermayr, G., R. Aichele, I. Heiland, A. Melchior & M. Steininger: TTIP: Potential Effects on Norway. Ifo Working Paper 228/2016. The paper has been updated and this new version was made available in December. Melchior, A.: TTIP and Third Countries: The Role of Trade Policy Spillovers. NUPI Working Paper No. 871/2016. Veggeland, F.: TTIP – regulatory cooperation on food and health. NUPI Working Paper No. 872/2016. The first version of 2 November 2016 is available here. The results are the same in the two versions, but the exposition of the “bottom-up” scenarios has been improved and simplified, with more text and less tables.